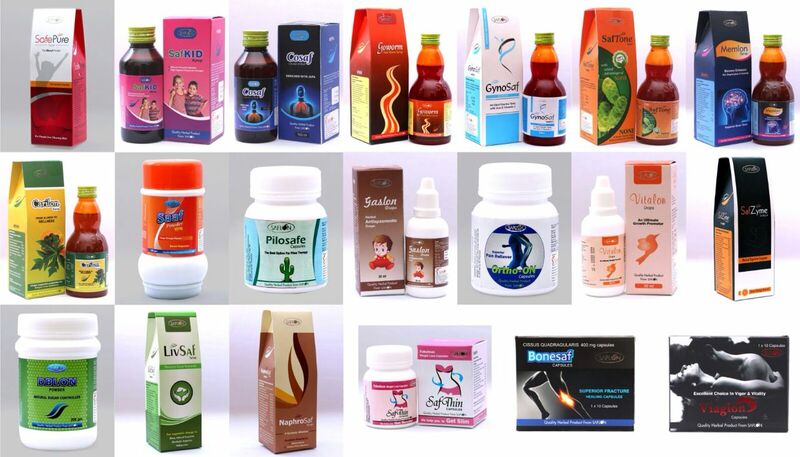 we are leading direct marketing herbal product manufacturer from Ahmedabad, Gujrat, India. Moringa Oleifera Leaf Extract Capsules in premium quality for mlm company, Network Marketing company, direct selling company and herbal company..we are providing herbal product Franchisee, Pcd herbal and ayurvedic Pcd comapny.please contact us on 9998441626..
Herbal Liver Tonic.. Livsaf Syrup....Herbal Liver Restorative and Protective Syrup.. Available in 100 ml, 200 ml, 30 capsules HDPE Jar and as a physician sample in 100 more syrup and 10 Capsules HDPE Jar.. Very effective in many liver disorders resulting in loss of appetite, constipation, growth retardation etc. It works as an excellent liver tonic, as a liver care in alcohol drinker, increase the functional efficiency of liver, increase serum albumin, useful in infective hepatitis, helpful in enlarged or fatty liver, drug induced hepatitis and other liver disorders. With added advantages of kalmegh and kutki..herbal liver care redefined.. protect your liver naturally... Dose.1-2 teaspoon thrice a day or as directed by physician..prolonged use is advisable for better results.. Capsules.1-2 capsules twice a day or as directed by physician.. prolonged use is advisable for better results..
SafTone Herbal Noni Syrup. Mrp 200. 100 ml 200 ml. A family health tonic. Natural Immunity Booster. Uses in general weakness, Neurasthenia, Anaemia, Convalescence. The comprehensive health supplement. Herbal PCD Company. Pcd herbal company. Ayurvedic pcd company, herbal medicine franchise. Dosage 1-2 teaspoon thrice a day or as directed by physician. For more information kindly contact on 9998441626. Safzyme Herbal Digestive Syrup..Useful in all types of indigestion, gas trouble, dyspepsia, flatulence, carminative during pregnancy..used as complete natural enzyme..with added advantages of saunf and pudina..natural enzyme syrup and palatable remedy for Digestive disorders.. available in 200 ml syrup packing..dosage: adult: 01-02 teaspoon twice a day after meal....children: 1/2 teaspoon twice a day after meal or as directed by physician..keep in cool and dry place..For herbal Pcd, Pcd herbal company, ayurvedic Pcd company, pcd ayurvedic company, and ayurvedic product franchise of more than 100+ ayurvedic/herbal products, kindly contact on 9998441626..
SafAcid Herbal Syrup..Premium Quality Herbal Antacid Syrup..useful in hyperacidity, gastric and duodenal ulcer, heart burn, reflux oesophagitis.. Dosage. 1-2 teaspoon twice a day after meal or as directed by physician..Drink plenty of water through out the day..prolonged use is advisable for better results..To get 100+ ayurvedic/Herbal product on Pcd basis, pcd ayurvedic company, Pcd herbal company, herbal Pcd company, contact 9998441626..